Capital Transport is your trusted national, full service, transport and logistics partner. We proudly provide innovative, flexible transport solutions to businesses across Australia. We specialise in transporting anything from an envelope, to 22 tonnes of steel in four hours or less within metropolitan cities. Since Capital Transport was established in 1990, our business has continued to grow and expand successfully. We now have offices in Melbourne, Sydney, Brisbane, Perth and Adelaide, with over 1500 vehicles across Australia. Capital Transport is committed to providing its customers with innovative solutions and continuous improvement. We achieve this through significant investments in software development and business improvement processes that add value to our clients businesses. Our knowledgeable sales professionals take the time to understand our customers businesses so that we can provide transport solutions that solve problems, increase efficiency and reduce costs through process improvement. Our professional online tracking technology, iLogix, is industry-leading and unique. It allows you to easily track and control your delivery online in real-time – from booking right up to delivery. 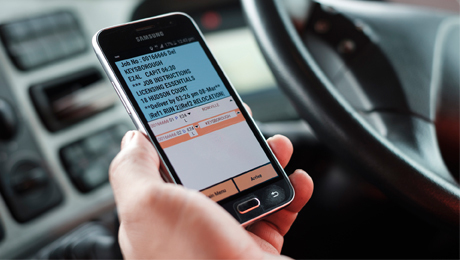 Our system provides more control and efficiency, minimising your transport expenditure. At Capital Transport, we focus on providing excellent customer service and exceptional transport outcomes. We achieve this through our knowledgeable call centre employees, who strive to satisfy your needs in the first phone call. 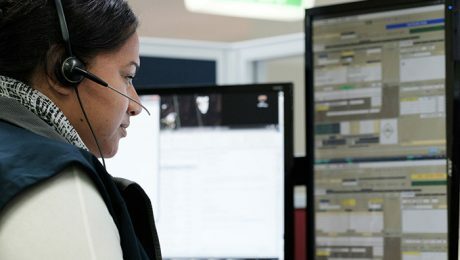 Additionally, our account management teams serve as your personalised point of contact – they know, understand and are responsible for your transport needs. At Capital Transport we value our customers and that’s why we have partnered with Qantas Business Rewards to give you the opportunity to earn Qantas Points every time you use our services*. By being a part of Qantas Business Rewards, your business will earn 1 Point for every $1 spent at Capital Transport Australia wide! 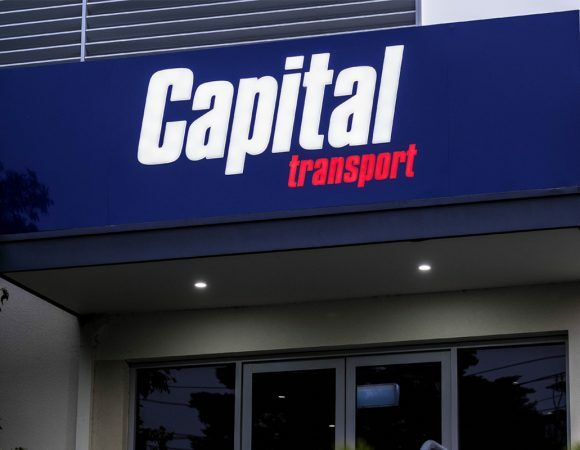 Capital Transport has always provided technical and professional support, excellent reporting, and above all, an incomparable level of customer service. It is no coincidence that since engaging Capital Transport, we have become the largest supplier in Victoria of replacement car parts for both of our franchises. We have been using Capital Transport for our transport needs now for the last 12 months. Our experience with your company has shown us that Capital Transport is a professional and service dedicated company. Whenever there has been a delay or problem, it has been dealt with immediately and rectified in a professional manner. We have found our account manager to be pro active and continuously building a relationship with clients and ourselves. We would recommend that any company would be happy with the services that Capital Transport provides. I would like to take this opportunity to express my satisfaction on the level of service that Capital Transport provides. We have been using Capital for over 2 years. They have been the only courier company that has been able to meet our demands. A lot of our work requires urgent courier response and Capital is constantly able to support us in this. When I book a job I am confident that the delivery will be made in the required time frame. Our internal and external customers are continuously impressed with the service they provide. We have utilised the services of Capital Transport for approximately seven years. During this time we have found the team at Capital Transport to be an efficient and extremely well organised operation. Capital’s fleet caters for all our requirements no matter how small or large. As Australia’s leading Distribution Company, we rely heavily on the service that Capital Transport provides. They have made it their business to know our business and as a result know our expectations and deliver them to the end as well as often exceeding them. Capital Transport are an integral part of our business and utilising their extensive network assists us in ensuring our operation runs smoothly while at the same time having the confidence that our own needs are being met. The team at Capital Transport have extensive knowledge and experience in the courier industry which is evident and demonstrated regularly through their association with us and is also reflected in the tight operation that Capital run.